My great news this week is that the literary publishing house based in Galway, Doire Press, is to publish my first collection of short stories, Ferenji, in 2016. 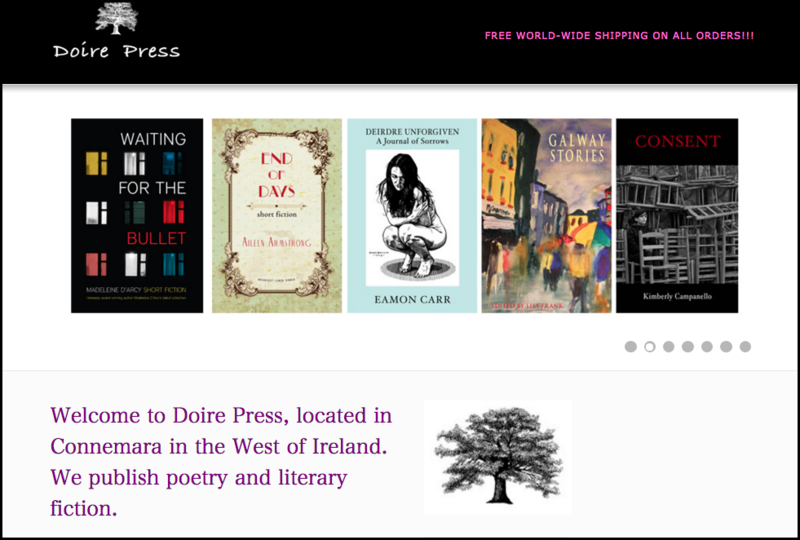 DOIRE PRESS was founded in 2007 in Connemara by Lisa Frank and John Walsh, also both writers, who seek to publish new and emerging writers who give voice to what it means to be Irish in a changing Ireland. Since then Doire Press has continued to blossom, publishing writers as diverse as Susan Millar DuMars, Miceál Kearney, Aileen Armstrong, Celeste Augé, Jim Mullarkey and Madeleine D’Arcy, whose collection Waiting for the Bullet won the Edge Hill Readers’ prize; and poets Kimberly Campanello, Kevin O’Shea, Paul O’Reilly, Susan Lindsay, Jo Hemmant, Dimitra Xidous and Adam White, whose book, Accurate Measurements was the only Irish publication to be shortlised for the prestigious Forward Prize in 2013. Their anthologies include 30 under 30, chosen as a Top Ten Title of 2012 by Joseph O’Connor in The Irish Times, and Galway Stories, a collection of short stories set in neighbourhoods throughout the city and county of Galway by many of Ireland’s top writers, including Kevin Barry, Mary Costello, Mike McCormack, Nuala Ní Chonchuír, Olaf Tyaransen and Julian Gough. I first met John and Lisa in December of 2013, when I was assigned to write a review for Hot Press of Eamon Carr’s first published play, Deirdre Unforgiven: A Journal of Sorrows (you can read that review here, BTW). Eamonn’s book was beautifully produced, and featured a compelling cover with ink line drawing by John Devlin. The play itself is a fascinating exploration of the old Deirdre of the Sorrows legend. Since original drama is rarely given such handsome treatment, I looked up the Doire Press website and found more excellent new Irish writing there. While – like every other contemporary writer of short stories and poetry – I had initially toyed with the idea of self-publishing, I made a submission of my work to Doire Press the following year when their annual open call for submissions came out, and while my 2014 proposal – a collection of stories on the theme of Irish emigrants abroad – wasn’t selected, my 2015 one – short stories set among peacekeepers, aid workers and press working in conflict and post-conflict zones – was. Happily, it will now be published as one of their 2016 titles. I’m very proud to be part of this great group of artists, and look forward to working with John and Lisa at Doire Press in 2016 for my debut collection of short stories, Ferenji. So, now – back to the writing, but more anon! 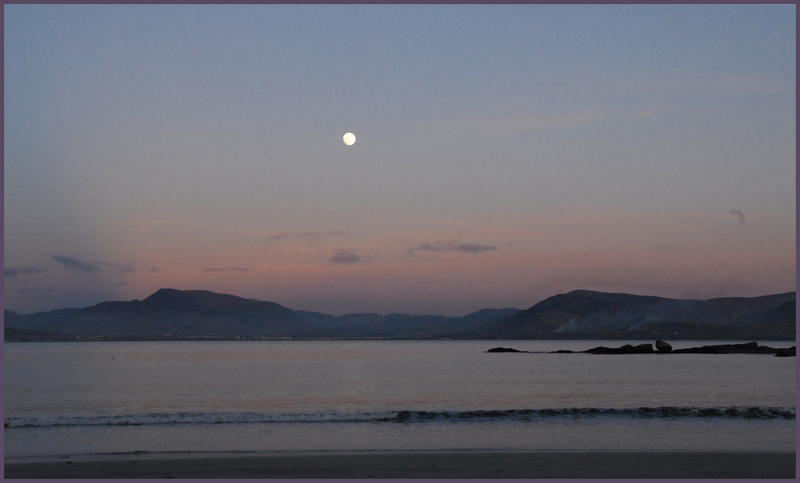 He pulls me out of the cabin near the beach, and tells me the tide is alive. He says that out in the blue night a million tiny vessels are flowing along the current off to somewhere else, and he wants us to go with them. I say no. The hut near the beach is all we have, where we can rest in relative safety, considering the times. In November 1995, prompted by a significant historical anniversary, I wrote a short fiction piece on a big emotional issue: the Great Famine. This morning, I woke up and realised that this year was another anniversary, albeit not one people have tended to note. I’ve decided to re-post Famine Fever before the year is out, considering the times.